The 17-year-old music prodigy had just finished a session with his driving instructor. Apparently, all the impressive traits of an advanced musician, such as impeccable hand-eye-foot coordination and ability to perform under the pressure of thousands of spectators, don’t mean squat when you’re behind the wheel. “It was my first time on the road … and it’s just really hard. I had to stop on this slope at one point, and that was really scary,” said the soft-spoken teenager. But Arthur Kam isn’t just any teenager. The young drummer, who looks just like any other secondary school student, possesses an extremely acute sense of timing and rhythm, as well as an astounding level of coordination and technical proficiency that allows him to play his instrument at a level that few will ever be able to in their lifetime. It’s this amazing natural talent that has seen him play the drums and percussion for artistes like Jacky Cheung, Keiko Lee and Sadao Watanabe, all before he even finished primary school. He has played at almost every club in Kuala Lumpur, from the launch of popular nightspot Zouk KL to his own one-hour slot at the Hard Rock Café and a performance at the Ferrari party for Malaysia’s Formula One debut; and with almost all our top musicians Lewis Pragasam, Jamie Wilson and Andy Petterson, to name a few. Yes, all this before he can legally drive. 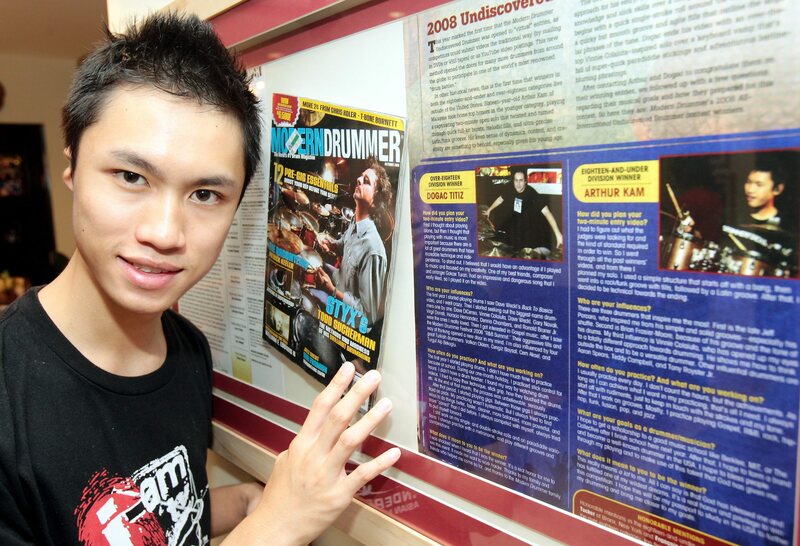 Life as a child prodigy is nothing new to Arthur, who has grown up being labelled Malaysia’s own drum genius (as well as the national record holder for youngest person to complete a professional drum course at 11). Recently, however, Arthur won the Modern Drummer magazine’s Undiscovered Drummer Contest, and it would appear like our little wunderkind is now coming of age. Arthur posing with the edition of Modern Drummer where he was unveiled as the winner of its worldwide Undiscovered Drummer contest. “They call Modern Drummer the ‘bible’ of the drumming world, so to win this competition by them is a really big deal for me,” said Arthur, who won the 18-and-under division for the worldwide search for undiscovered talent. What makes his victory even more impressive is that this is the first year the Undiscovered Drummer contest accepted online submissions via YouTube meaning a lot more entries were submitted from all over the world. But Arthur decided to do things the old school way. He made a video recording of a two minute solo at his home studio, filled in the application forms and mailed the DVD of the recording over to Modern Drummer’s offices in the United States. Since there were so many entries this year from YouTube, it took longer than usual for the judges to pick the winner. When I saw an e-mail from them one morning, so much time had passed I thought they were just thanking me for my participation. “But it was such a great feeling when I read that I won. Funny thing was, my mother asked me to show her the e-mail just to check in case I read it wrong!” he said. Sixteen-year-old Arthur Kam of Malaysia … played a captivating two-minute open solo that twisted and turned through quick full-kit bursts, melodic fills, and ultra-precise Latin/funk grooves. His keen sense of dynamics, control and creativity are something to behold, especially given his young age. With such high praise lavished on him from one of the world’s most popular drum magazines, Arthur’s profile has increased greatly on the international scene, and since then he’s already been lined up for two overseas performances. Firstly, he was invited to the Singapore Drumfest last weekend where he played at the main event on the same stage as world-class drummers Teddy Campbell (from the American Idol house band), former Steve Vai drummer Virgil Donati as well as Nate Morton from the Rockstar reality TV series’ house band. And up next, Arthur will be playing in digital media broadcaster i-amtv.com’s launching in the Philippines at Hard Rock Makati. Jacky Cheung invited an 11-year-old Kam on stage at a concert in Malaysia to play the percussions. He had learnt about Kam’s talent through Kam’s sister, Genervie. I remember when he played for Jacky Cheung, he was called to the front of the stage by Jacky, and he introduced him to the crowd as gu sen (god of drums). “Though I do consider myself very lucky to have this talent, and I thank God for it, there are the good and the bad sides (to being a musician),” he said. For one, Arthur has never had a normal childhood as he has always struggled to juggle school and practice. 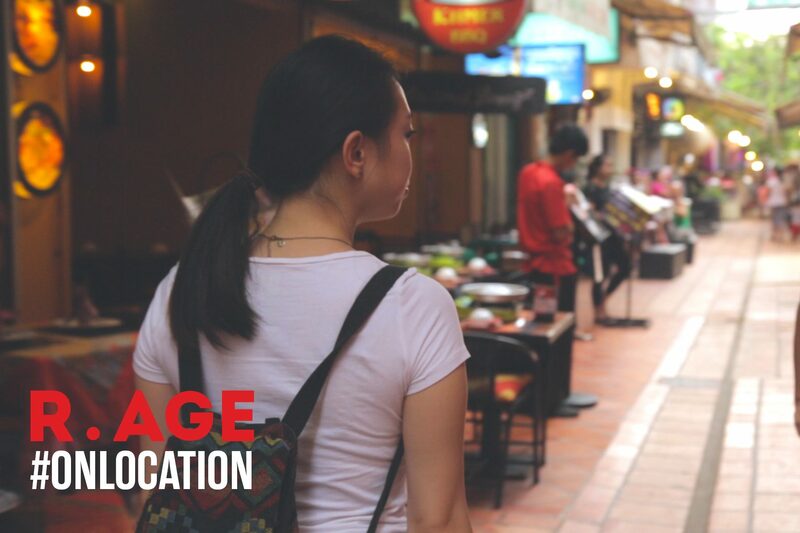 After school, Arthur would spend most of his time practising while other kids would have the rest of the day off, so we asked how exactly does he deal with his studies. Obviously, nurturing a child genius could be tricky. But for the last 11 years, elder siblings Nigel and Genervie have made short work of it when helping their younger brother with his development as a performing musician. When Arthur’s talent was starting to create waves at six years old, Nigel took it upon himself to manage him part-time, getting him gigs, promoting his talents and accompanying young Arthur to all his gigs. “I remember when he played for Jacky Cheung, he was called to the front of the stage by Jacky, and he introduced him to the crowd as gu sen (god of drums in Cantonese). “And there I was freaking out backstage! He was so young we had to be backstage at all his performances because he might get lost after playing. But it was such an amazing moment,” said the 32-year-old Nigel. Genervie took over managing duties several years later after she finished music school. Thankfully, Arthur has never been a difficult child, said Genervie, 28, herself an accomplished pianist and violinist who has toured with Jacky Cheung and played with the likes of pianist Maksim, Singaporean singer Stefanie Sun as well as a host of local names, including Ning Baizura, Siti Nurahaliza and Jaclyn Victor. “Compared to me, I think he’s an angel! 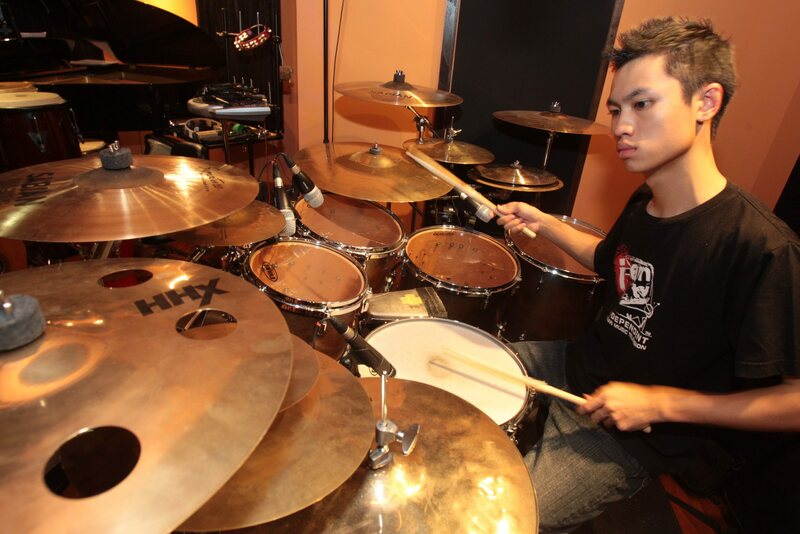 I think he’s very talented, not too far from some of the top Malaysian drummers, and we’re very proud of him,” said Genervie. I’ve never liked solo-ing. There are just so many skills that you have to apply in solo-ing to satisfy and impress people. Me, I like to play with music because that way you’re satisfying the music. But in spite of all his successes and undoubted talent, Arthur remains a very grounded kid, and it’s something he believes is important in producing good music. There’s a lot of ‘maturity’ in music. You can actually hear in the playing whether a musician is mature or not. For example, if a musician is greedy, his music will end up sounding busy. It takes the right attitude to work these things out, he said. And his perception of how music should be played from a drummer’s point of view, is proof that his is a kid that has that right attitude to go far. Which is why the job of a drummer is easy, yet hard. It’s easy because anybody can play a beat, but everyone’s feel, touch and tone is different that’s the hard part, trying to perfect all that. With drums and music, it’s always the finer details and the basics that count. It appears that he seems to have that nailed down. As for the future, things are looking bright. In the meantime, though, the only tuning he probably needs to work on is his driving skills. 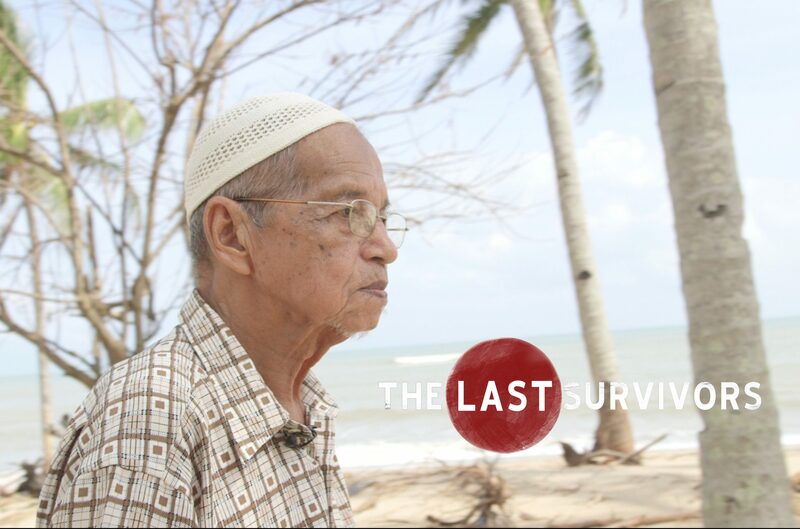 Preserving the stories of Malaysia’s World War II survivors, by bringing them back to where they experienced the Japanese Occupation. 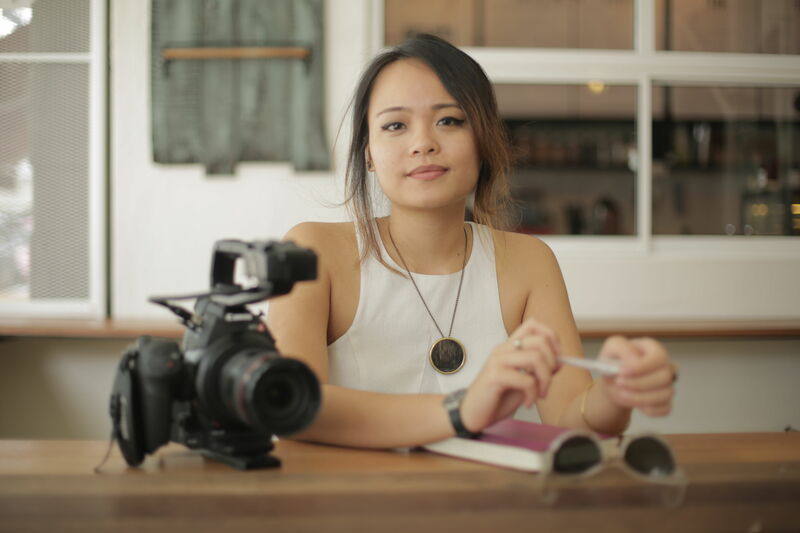 Nadira is showing the world what Sabah is truly about in her latest project – Big Stories Bongkud-Namaus.